An affordable and environmentally friendly alternative to heat drying! The Comfort Plus 600 Rotary Clothes Dryer comes with a protective removable zippered cover to keep your lines clean. 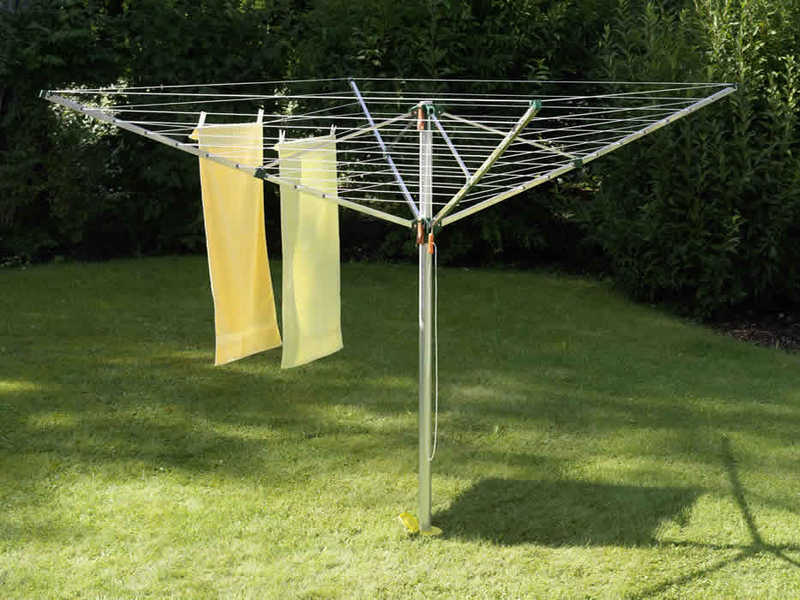 Opens and retracts with a pull cord to provide 171 feet of line for 3 to 4 loads of laundry. Height adjusts between 4’7” to 5’9”. Compact when not in use, the Comfort Plus 600 comes with a protective removable zippered cover to keep your lines clean when not in use. 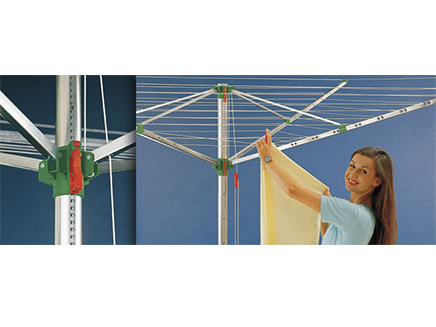 Arms open and fold down manually with a pull cord to provide 171 feet of line for 3 to 4 loads of laundry. Height adjusts between 4’7” to 5’9” to fit your needs. Comes with ground socket for installation. This ground socket also allows you to remove the very lightweight Comfort Plus 600 for easy mowing or if you prefer to store it when not in use. Made in Austria and comes with a 2 year warranty (cover excluded). Closed: 4" x 4" x 70"
I already have a cemented sleeve in the ground that has a diameter of about 1.5”. What is the diameter of this post? Thank you for reaching out! The diameter of the pole for the Comfort Plus 600 is just under 2”.